Athlete Architecture provides personal coaching for endurance athletes - Personal coaching for triathlons, cyclists, and runners. 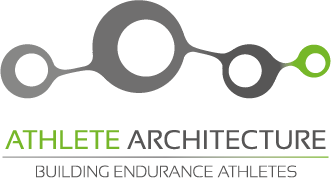 Athlete Architecture is a premier endurance coaching company that originated in Austin, Texas and now operates from Sydney, Australia. I have been involved in triathlon for three decades and provide the experience and expertise you expect from a performance minded coaching service. If you are looking for a triathlon, a running, or a cycling coach…look no further. I provide personal USAT, USAC, and Ironman certified coaching for triathletes, runners, and cyclists…including triathlon training plans, marathon, and half-marathon training plans. My coaching techniques are designed specifically for each individual athlete and are backed by the latest advances in exercise physiology. I utilize heart rate and power based training to ensure each athlete has the greatest probability for success. Click HERE to get started. Sign up for the Latest News and Exclusive Events from Athlete Architecture.